Shraddha also added that Prabhas is the sweetest person she has ever met. In 2015, the dashing Prabhas gave strong proof of his acting abilities when ‘Baahubali’ opened to a thunderous response at the box office and ended up changing the tenets of Indian cinema. In the magnum opus, he essayed a double role and won hearts along the way. In fact, it would not be wrong to say that ‘Baahubali’ made Prabhas the ‘Darling’ of the whole nation. Nearly two years later, Prabhas mania gripped the nation again when ‘Baahubali 2’ proved to be a winner at the box office and became a global phenomenon along the way. Prabhas also garnered praise for his ripping performance and dedication. Talking about, his commitment to work, his co-star Rana Daggubati earlier said that T-town’s ‘Darling’ can go to any lengths to do justice to his films. “Prabhas is the most sweetest and simplest person you will ever meet in life. He is not someone who would have the biggest of aspirations, big things and much hype. He is somebody who just loves movies and he will do anything for movies. Look at what he did for Baahubali. An actor like him giving 5-6 years of his life for a film is quite unbelievable. He stood like a pillar for Baahubali,” he had told Pinkvilla South. With Baahubali 2 in the rearview, the handsome Actor has now turned his attention to ‘Saaho’. The film is touted to be action-thriller and is being directed by Sujeeth. Its first look poster was released on Prabhas’ birthday and it became the talk of the town in no time. In it, the 38-year-old was seen in a stylish new avatar as he channelled his inner ‘blade runner’. And, needless to say, he did full justice to his new look. 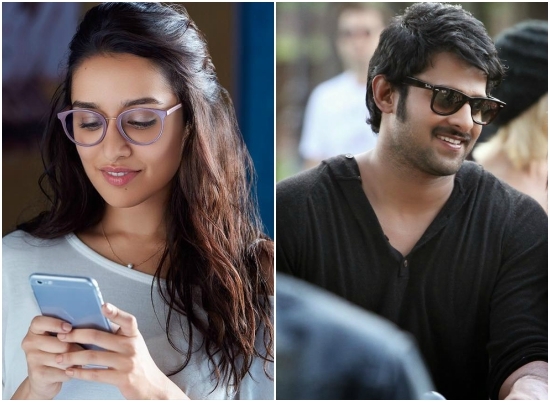 Interestingly, in ‘Saaho’, Prabhas will be seen alongside Bollywood beauty Shraddha Kapoor. And, it goes without saying, this fresh pairing has created quite a buzz amongst fans. Some time ago, she the ‘Aashiqui 2’ girl had said that she was happy being a part of the film and added that she is a fan of Rebel actor’s work. Now, Shraddha has once again spoken out working on ‘Saaho’. During a recent Twitter chat with fans, she said that Prabhas is one of the best persons she has ever worked with. “He is an absolute darling. One of the best people I have met,” she added. Well, this is one sweet revelation and is bound to create a buzz in T-town. In case you did not know, ‘Saaho’ is a Tamil-Hindi-Telugu trilingual and also features Bollywood actor Neil Nitin Mukesh in the lead. The actor will be playing a negative in this one. Some time ago, he had told a leading daily that he will be playing a ‘mega-villain’ in ‘Saaho’. “This is a larger-than-life film and, post-Baahubali, the entire nation is rooting for Prabhas. And where there is a mega hero, there will always be a mega-villain too. My character has many shades like every other character in the film,” Neil had told a leading daily. Interestingly, the team of ‘Saaho’ will soon be leaving for the Gulf to shoot some high-octane action sequences in exotic locations. The groundwork for the Gulf schedule is already underway and seem to be going very well. So, are you looking forward to ‘Saaho’? Will Shraddha be able to impress T-town and add a new dimension to her career? Comments, please! Waiting desperately for Saaho….want to see the irresistibly hot & handsome Prabhas create magic on screen again. And hopefully Shraddha will do a good job….as she is a good actress. Both are amazing and talented people so I am dure that Saaho will be a great hit. Best of luck, Saaho team.